I don't like the idea of veggie burgers more for the reason that people are typically trying to use them as a substitute for a real meat burger. And there is no substitute. Period. But if instead you just want to have a really good sandwich and it happens to not have any meat in it, I'm all for that. 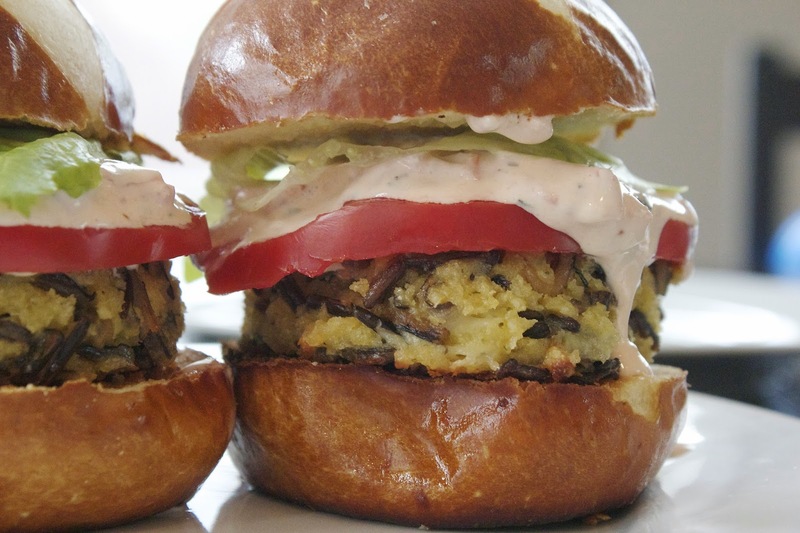 And honestly with these Wild Rice and Hummus "burgers" I'm OK with them not having any meat. I almost topped them with some bacon though. And that would have made them just that much better.